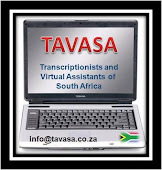 I suggest that you join a forum aimed at VAs and transcriptionists. For South Africans I would recommend TAVASA. Working from home can be a lonely experience and trying to sort out technical problems can be very daunting. By joining a forum you will be in contact with people who understand exactly what is required and can assist with questions. • Obtain a template from the contractor and STICK to it – every comma, every underlining, every space. Do not get creative and do not try to improve on the template. • Often the contractor will send a sheet through with his or her typing preferences and requirements. Read it carefully before you start typing and again before you proof your work and ensure you abide by the instructions. 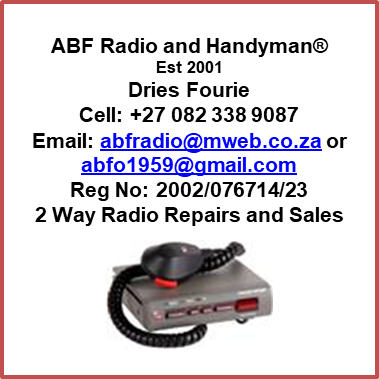 • Communicate – if you are having problems with the recording it may be a bad recording. On the other hand, if you are the only typist experiencing problems then it is probably an incorrect setting or your equipment may be faulty. The only way to find out is by asking the contractor about the recording quality. Do not go merrily ahead and turn in a transcript littered with [unclear], [inaudible], etcetera. • Make notes as you go, especially for names and words that you are not sure of. Should these become clear as the transcript progresses, it makes it easy and quick to do a global replacement. • Proof your work thoroughly. Put those earphones on and go through the whole transcript – this is time-consuming and quite often expensive – it takes a long time to type your very first transcription and it can be quite discouraging in terms of your hourly rate, but you would be amazed at what you pick up on the second run-through. Words previously indecipherable will be clear once you are familiar with the context of the transcript. • Spell and grammar check – spell checking is an absolute requirement but adding the grammar check function is very useful in picking up mistakes other than typos. Bear in mind that transcription is usually rendered verbatim and the most common grammar mistakes are made in speech. Do not be tempted to tidy up the speaker’s grammar unless specifically requested to do so. • Google is your friend. If, for instance, you pick up a name and a designation but not the company name, chances are you will find it on Google. Many terms are industry-related or, in the case of medical transcription, the names of patent drugs, etcetera, are unfamiliar to most people. It is not enough to spell a word phonetically, add a question mark and move on. In the long run your efforts will be rewarded. • Ask questions. We were all new at this once and I believe we would rather answer a dozen seemingly insignificant questions rather than receive a badly-typed transcript. The above steps are very, very important. It is as well to remember that not only do contractors offer the jobs that will get you started as a transcriptionist but that they often recommend – or not – typists to other contractors. Shoddy work will put a halt to your career before you start. Commit to producing high quality transcription from day one. Michele Johanson is based in Cape Town and owns Good Hope Transcription and Typing Services http://goodhopetranscription.weebly.com which offers general and legal transcription, typing, article and content writing and editing/proofreading functions. Recently we have added recording of small meetings to our profile. 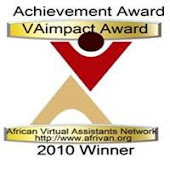 Labels: africa VAs, amf typing services, proofreading, transcription, transcriptionists, typists, virtual assistants, work at home.